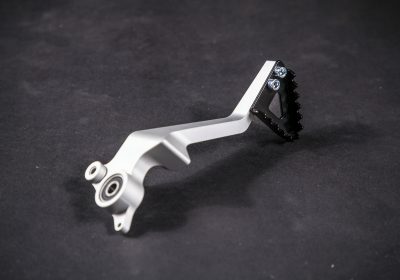 CNC billed brake pedal from heavy-duty material is more durable than OEM one that is quite easy to be bent or broken. With our brake pedal you limit such risk on your journeys. We will also give you a FREE large tip for better control while standing! 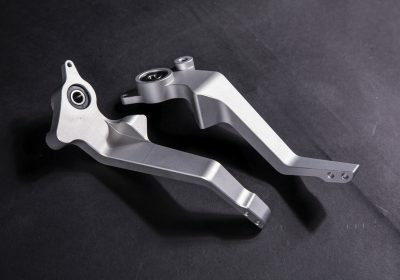 The billet pedal has the same holes and threads as the OEM one. The sealed bearings are pressed in place. So the replacement is easy. You can use the OEM tip or any aftermarket one for 701 and 690. But as a valued customer you get a large tip for FREE. As always we have paid extra attention to looks, functionality and easy install. You can see the aggressive design lines, combines with additional materials in critical places in order to avoid cracking or breaking. Ride pride and safe with RADE/GARAGE accessories! 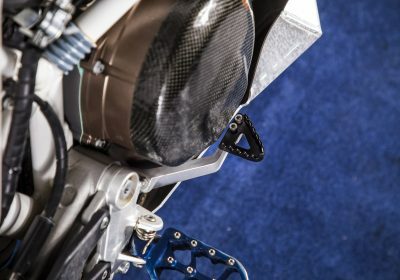 How does the Husqvarna 701 brake pedal works? The installation takes about half an hour and is quite simple. 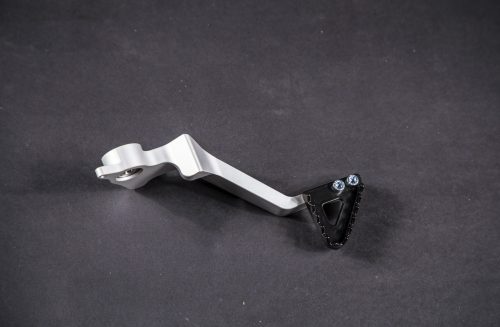 Basically you remove the OEM pedal and insert the billet pedal into the same holes and bolts. Please follow the install guide below.